As your pet cat advances in years, they will unfortunately become more prone to suffering from a range of different medical problems. However, the good news is that treatments are available for many of the common health problems found in elderly cats. If you want to increase the chances of helping your pet to maintain good health and quality of life well into old age, keep a look out for the symptoms of these major diseases and conditions. Cats are anatomically predisposed to develop kidney disease and renal failure, during which the kidneys gradually become less effective at excreting waste. If your pet's renal health is declining, you might notice that their appetite is decreasing, they're becoming skinnier, they're drinking more, and is urinating more frequently. In some cases, lethargy and reserved behavior is also noted. By the time these symptoms present, most cats will have lost up to 70% of their kidney function, so many vets advise annual screenings for kidney disease. A yearly blood test can give your vet a picture of the cat's kidney health and allow you to plan ahead to slow any decline in function. There are dietary changes and supplements that can help older cats survive with kidney disease for many years. 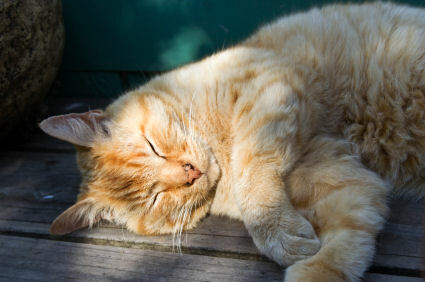 In older age, your cat may lack the appropriate amount of insulin required for energy, or they might become resistant to normal amounts of insulin, leading to diabetes. Diabetic cats typically appear very hungry, thirstier, and more inclined to urinate on a regular basis. As with kidney disease, diabetes can also be detected through routine blood screenings. If you end up with a diabetic pet, you can feed them a special diet and their condition may be improved by regular insulin injections. If diagnosed at an early stage, diabetes is unlikely to have a huge impact on your cat's quality of life or life expectancy. Just like humans, cats are more likely to develop a wide range of further health problems if blood pressure levels get too high. In particular, high blood pressure can strain the cardiovascular system, leading to an increased risk of heart attacks, strokes and heart failure. Kidney problems are also linked to chronic blood pressure problems and some cats will lose their vision as tiny blood vessels behind the eyes begin to be damaged by the pressure. As a result, it is always smart to talk to your vet about whether your cat's blood pressure should be tested. There are medications that relax the blood vessels in order to reduce the pressure within them, and there are dietary adjustments that can also help. Once a cat is over ten years old, they become more likely to suffer from an excess of certain hormones that regulate metabolic rate. If your cat has hyperthyroidism, they may become very skinny within weeks or months (in spite of eating more enthusiastically than ever), show an increased need for water, and experience a fast heart rate. A straightforward blood test can tell you whether your cat has an overactive thyroid, and there are medications that help to compensate for the condition. 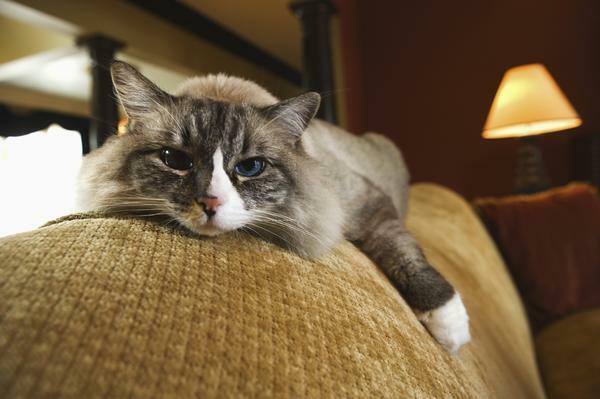 Finally, although arthritic cats tend to have fewer treatment options than dogs, there are ways to help your cat if they develop this painful joint problem. If you notice that your cat is limping, displaying fear of jumping or moving, or flinching when touched in a specific area, your vet can examine them for arthritis. If a diagnosis is given, then fish oil and omega-3 fatty acid supplements can help to boost blood flow and lower overall levels of inflammation, which can reduce pain.